Konstantin transferred to New York, who is “sealed defendant 1”? Following detainment after his arrest in California, OneCoin’s Konstantin Ignatov has been transferred to New York. 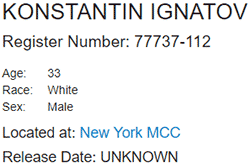 Ignatov is currently an inmate at the Metropolitan Correctional Center. This isn’t confirmed but I’m 99.9% sure “sealed defendant 1” is Sebastian Greenwood. If everything surrounding Greenwood’s arrest and ongoing detainment is sealed, it would certainly explain why he’s disappeared into a black hole since his extradition from Thailand. In related news OneCoin has put up a bizarre press-release earlier today, in which they equate reporting of Konstantin Ignatov’s arrest and wire fraud charge to a “witch hunt”. Centuries ago the perception of justice was very different from the way it is nowadays. It was sometimes taken to extreme limits – people were often beheaded, burned at the stake, disembodied, hung or shot, even without a trial. There were times, back in the day, when accusations were based solely on claims or assumptions. The presumption of guilt, meaning one is considered guilty unless proven innocent. OneCoin claims journalists reporting on Ignatov’s arrest are publishing “fake news”, in addition to committing defamation and “slender”. While it is true that back in the day people were wrongfully executed on suspicion of witchcraft… what that has to do with OneCoin is unclear. Whereas suspected witches were often executed without evidence, OneCoin is a blatant Ponzi scheme we’ve been covering since late 2014. Asserting that there is no evidence of fraud related to OneCoin is disingenuous. 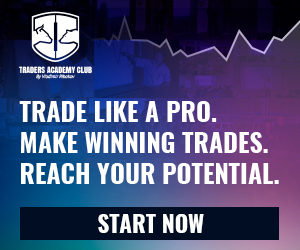 Even if you want to believe using newly invested funds to pay existing investors through an internal exchange isn’t Ponzi fraud, or that paying affiliate investors to recruit new investors without retail isn’t pyramid fraud; the fact of the matter is Konstantin Ignatov was arrested and charged based on collected evidence and an investigation stretching back to at least 2017. OneCoin can pretend they aren’t a Ponzi scheme and that Ignatov didn’t commit wire fraud, but we all know how this is going to play out. Had OneCoin’s business model been a secret and all of this kept under wraps till Ignatov’s arrest, sure. Go nuts. As it stands though, pretending there’s no evidence behind Ignatov’s arrest is blatant dishonesty. Perhaps a trivial point to make when the offending party has fraudulently obtained billions from investors without batting an eye, but one I felt it important to make nonetheless.